Tübingen is a traditional university town in central Baden-Württemberg, Germany. It is situated 30 km (19 mi) south of the state capital, Stuttgart, on a ridge between the Neckar and Ammer rivers. About one in ten people living in Tübingen is a student.Tübingen is the capital of an eponymous district and an eponymous administrative region (Regierungsbezirk), before 1973 called Südwürttemberg-Hohenzollern. 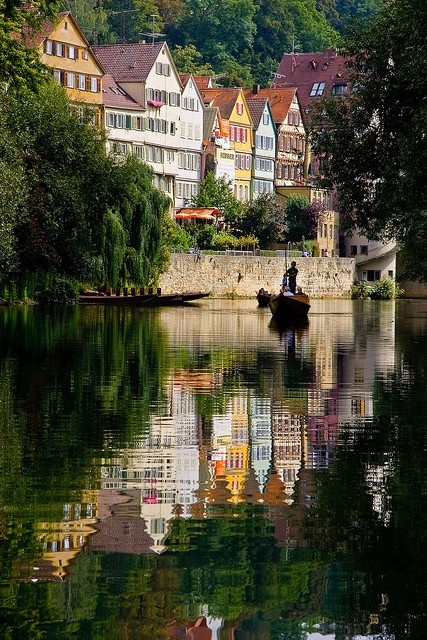 Tübingen is, with nearby Reutlingen (about 15 km (9.3 mi) east), one of the two centre cities of the Neckar-Alb region. Administratively, it is not part of the Stuttgart Region, bordering it to the north and west (Esslingen district in the north and Böblingen district in the west). However, the city and northern parts of its district can be regarded as belonging to that region in a wider regional and cultural context.